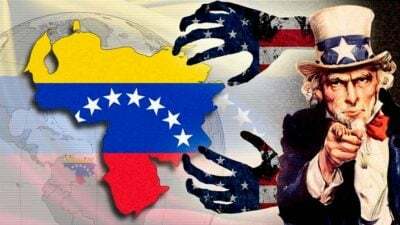 Selected Articles: Venezuela “Regime Change”: Will Washington Unseat President Maduro? Much has been said about the civil unrest in Venezuela which is spearheaded by the US-engineered opposition groups plotted to impose a ‘regime change’ and oust the incumbent president. Who compose these opposition groups and how strong are they to unseat a democratically elected leader? Read our selected articles below. The new assembly will formulate changes to the current constitution. Those changes will be decided on in another general vote. It is likely that the outcome will reinforce the favorite policies of a great majority of the people and of the social-democratic government under President Manduro. Solidarity with the Bolivarian Revolution! Defeat the Imperialist Conspiracy Against Venezuela! For the past several months, US imperialism and its allies domestically and internationally have been exacerbating Venezuela’s economic difficulties by attacking its international credit rating (making foreign loans increasingly expensive), by weakening the foreign exchange value of the national currency through purposeful speculation, and by withholding basic commodities needed by the people (but whose distribution is still controlled by private monopolies), such as milk, coffee, rice, oil, and basic necessities like toilet paper, toothpaste and medicines. The parties and leaders of the violent protests that for three months have disturbed the peace of Venezuelans, are the very same who in 2002 supported the coup d’etat against President Chávez. During those tense 48 hours, one of the very first things they did was to abolish the Constitution of 1999 – the one they now purport to defend.